Given the popularity of baked goods, there’s plenty of room in the retail industry for both independent shops and behemoths like Dunkin’ Donuts and Panera to thrive. Wholesale bakeries are also picking up their games, mining many of the same industry trends that retailers have capitalized on. For independents — the corner bakeries and mom ‘n pop operations so many of us grew up with — the past couple of decades have been a rollercoaster. According to a report by Sundale Research, the U.S. has close to 6,700 independent retail bakeries. That sounds like a lot, but it’s a far cry from the heyday of the independent era, when it seemed like every neighborhood had its own corner bakery a short drive, if not walk, away. The forces of consolidation and the successful growth of chains, combined with anti-carb and anti-gluten sentiment, have had much to do with that. But the rollercoaster always makes its way back up, and independents are making a comeback. With millennials leading the way, independents are responding to consumers’ increasing needs for authenticity, versatility, creativity, ingredients they can understand, storytelling and myriad other forces reshaping the 21st century retail environment. In addition, O’Brien says, many consumers are looking for experiences with the food they consume. Authentic products have high appeal in today’s market, and local bakeries fit nicely into that sweet spot. Local is playing a huge role in the resurgence of the indies. Millennials in particular have made supporting local businesses a priority, says Bernadette Shanahan-Haas, director of operations for the Retail Bakers of America, which on Sept. 14 will celebrate the second annual National Bakery Day. National Bakery Day’s slogan, “Keep your dough local,” reflects the RBA’s and the industry’s overarching ambition: to get consumers to visit their local independent retail bakery. Millennials are also far more likely to pay a premium for the top-quality baked goods that are often the calling card of independents. Nearly half of millennials regularly eat premium food products, according to GlobalData research. And two-thirds of them say higher-quality ingredients encourage them to buy premium products. Many other industry trends point to the advantage of “small” over “big” among many 21st century consumers. Because they’re small and nimble, it’s often the independents that take a chance on new offerings. That’s yet another factor that puts them right in the millennial wheelhouse: half of all millennials, according to GlobalData, like to experiment with new and unusual flavors. To compete effectively, O’Brien says, many independents have added more innovative and customizable baked goods as well as organic and free-from applications that cater to specific consumer demands. Local bakeries, she says, are uniquely positioned to generate buzz when they create innovative products. “A great example is the excitement that was generated when Dominique Ansel Bakery created the cronut,” O’Brien says. But it’s not just the small players getting in on the action, she says — many larger bakeries are starting to offer unique, free-from and nostalgic baked goods in an effort to continue to meet today’s consumer demands. Independents also often have an edge when it comes to another consideration increasingly important to 21st century consumers: the desire to have an “experience” when shopping. GlobalData research found that 60% of consumers find trying new experiences more exciting than trying new products. Baking industry expert Eric Olesen says that in some areas, traditional corner bakeries are definitely making a comeback, but he emphasizes that the conditions have to be right. “Demographics and population density must support the bakery concept that is being opened,” he says. Another success in the “big” world can be found in grocery retail. Grocery instore bakery departments saw a 9% uptick in prepared bakery sales in the year ending April 1, according to Nielsen data. Big industry players that have been around awhile and established strong brands also have an advantage over many independents when it comes to name recognition and the hold it has over many consumers. Fifty-two percent of Americans think that the older the brand, the better the quality, according to GlobalData. The same percentage think that products from the past are better than products made now, indicating the strong pull of nostalgia. The local independent bakery has a lot going for it, but sometimes it can be hard to beat a popular, traditional brand consumers have trusted for decades. Big industry players like Panera Bread have shown that they can learn from the independents and in some cases beat them at their own game. The latest transformation at Panera involves a variety of innovations. Recognizing growing consumer demand for craft offerings and convenience, the company has worked since 2010 to reposition itself, with big bets on digital, clean food, loyalty and multiple channels of access to products. Panera will hit $1.2 billion in digital sales this year, and they’re the first restaurant company to commit to and achieve 100% clean food. Panera showed this summer that it knows how to think outside the box like the independents with its new line of savory items featuring cheese. The sandwich items in the line include the Four Cheese Grilled Cheese Sandwich, which features Fontina, sharp cheddar, Monteau and smoked Gouda cheeses, all on Panera’s country rustic bread; and the Modern Caprese Sandwich, which features Basil-white bean puree, sliced mozzarella, parmesan, arugula, smoked tomato confit, fresh basil, balsamic glaze, and salt and pepper, all toasted on Black Pepper Focaccia. Panera is also stepping up its game on the service side in a bid to build closer connections to its customers. In May the company announced plans to expand delivery to its U.S. customers. Panera delivery is now available in 897 cities and 43 states. Chains are also showing that they can compete with the independents when it comes to corporate responsibility. Earlier this year donut titan Dunkin’ Donuts announced it would begin phasing out its iconic foam cups in favor of more environmentally friendly double-walled paper cups. It’s just the latest green initiative from Dunkin’. The company had previously committed to having 80% of its fiber-based consumer-facing packaging certified to the Sustainable Forestry Initiative Standard. Dunkin’ has also eliminated artificial dyes from its menu and built more energy-efficient restaurants in recent years. Dunkin’s new “store of the future” concept, announced earlier this year, also aims to show that a mature chain is nimble enough to compete for consumers’ attention with today’s cutting-edge independents. Lifestyle brand Life is Good has been tasked with designing new employee uniforms, and stores will feature lighter colored materials and open layouts to emphasize natural light. Mobile ordering drive-through lanes, an innovative tap system for pouring drinks and grab-and-go units that will feature bottled beverages, fruits and packaged snacks are among the other highlights. 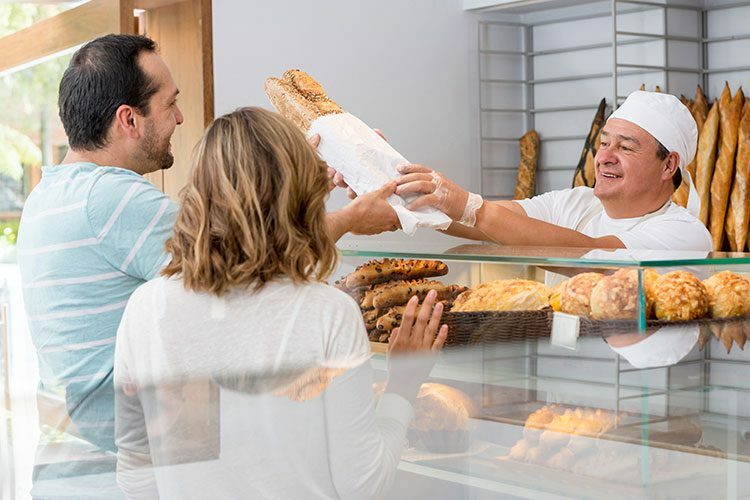 While the number of independent bakeries ticks up, large commercial bakeries, O’Brien says, continue to dominate the competition through lower price points and convenience factors. In addition, more commercial bakeries are taking steps to meet consumer demands for free-from, organic and natural ingredients. That said, O’Brien points out that corner bakeries can continue to differentiate themselves by offering more innovative, unique and nostalgic baked goods made with premium, local ingredients that support their communities and meet consumer expectations for taste, texture and consistency. The nation’s top wholesale bakers have not taken the renaissance in retail lying down. Giants like Flowers Foods and Bimbo Bakeries USA are retooling their product lines in an effort to keep up with many of the trends the retail world has been tapping into. It’s also a way for these companies to maintain profitability in a stubbornly flat market. Recent efforts at Flowers Foods include substantial investments in its Dave’s Killer Bread and Nature’s Own brands. Branded retail now makes up more than half of Flowers’ total sales gains, and the company has increased its market share in the category for eight quarters running, and Dave’s Killer Bread and Nature’s Own are two big reasons why. Dave’s is the No. 1 organic bread brand, and Flowers gave it a recent boost with the addition of breakfast-themed breads. Another organic Flowers Foods’ brand, Barowsky, has given the company a boost in the instore bakery category. A Nature’s Own sub-brand, Nature’s Own Life, has gotten the attention of retailers and market analysts for being on trend. Nature’s Own Life targets specific nutritional profiles, with varieties including 40-calorie honey wheat, 40-calorie wheat, double fiber wheat, 100% whole grain sugar free, wheat+protein, and 7 sprouted grains. Consumers, Flowers Foods says, are looking for foods that fit their specific diet, whether it’s a diet high in protein, low in sugar, high in fiber or low in calories, and Nature’s Own Life delivers. Bimbo, meanwhile, showed its on-trend bona fides with the recent purchase of Stonemill Bakehouse Ltd., a specialty baker based in Toronto. Stonemill bakes slow fermented craft bread baked in stone ovens using non-G.M.O. certified and organic ingredients. Its bread is sold under the Stonemill Slow Crafted brand and is available in several varieties, including Sprouted 3 Grains, 11 Whole Grains, Bavarian Light Rye and Sprouted Flax. Another recent Bimbo acquisition — Chicago-based East Balt Bakeries —provides the company with more product diversification. East Balt’s product roster includes traditional and specialty rolls, brioche, ciabatta, English muffins and other products. Bimbo also has been busy making innovations to its existing lines. One recent example is its limited-edition Thomas-brand Blueberry Pancake Swirl Bread. Bimbo also is offering products with whole grains, like its Healthfull 100% whole grain bread and its Extra Grainy bread, aimed at consumers who want a richly textured, premium quality bread but who don’t want to pay for organic. Flowers Foods and Bimbo aren’t the only ones innovating to stay relevant. New in the breakfast market is the baguette bagel from Ace Bakery, a unit of Weston Foods Ltd. The product combines the texture of a baguette with the convenience of a bagel — Ace describes it as a “baguette on the go” and says it fits more easily into a toaster than a sliced baguette. In short, today’s bakery industry is a big enough tent for players big and small, O’Brien says. 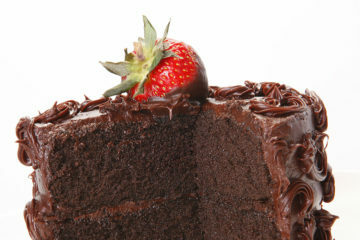 Why do consumers purchase premium baked goods?